Here's a spectrum of l Pup taken last night, very low on my home horizon (about 15 degrees). 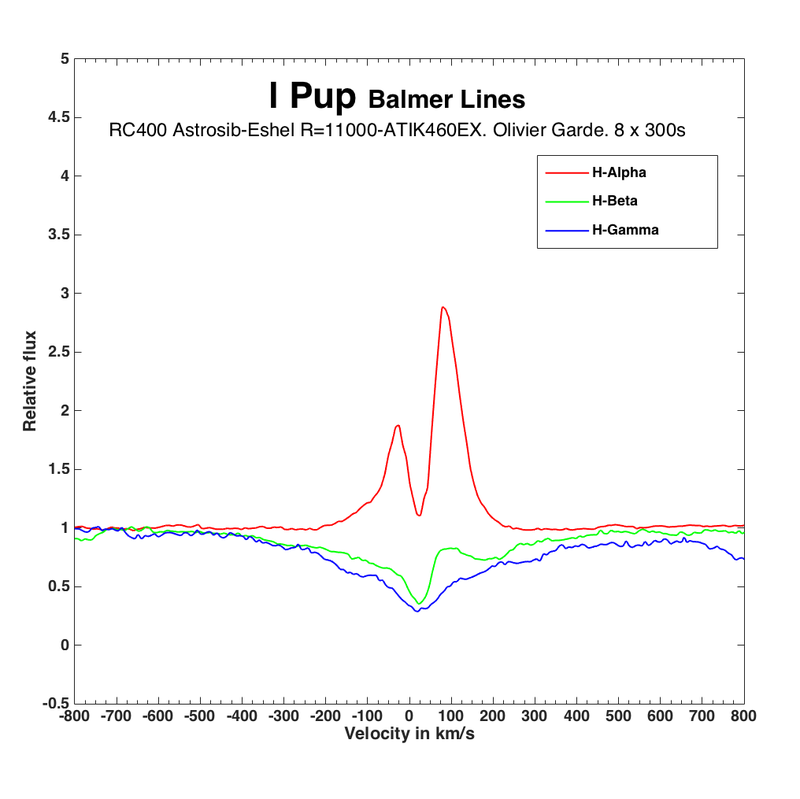 The B[e] stars (around 10 known stars) were added to Bess data base last October. So don't forget to make spectra of this type of stars (there are no or few spectra in Bess). l Pup is the brightest B[e] star (mag. V=3,93) but very low from Europe.